West on Montano, North on San Ildefanso, Right on Majave. Right on Baer to home. 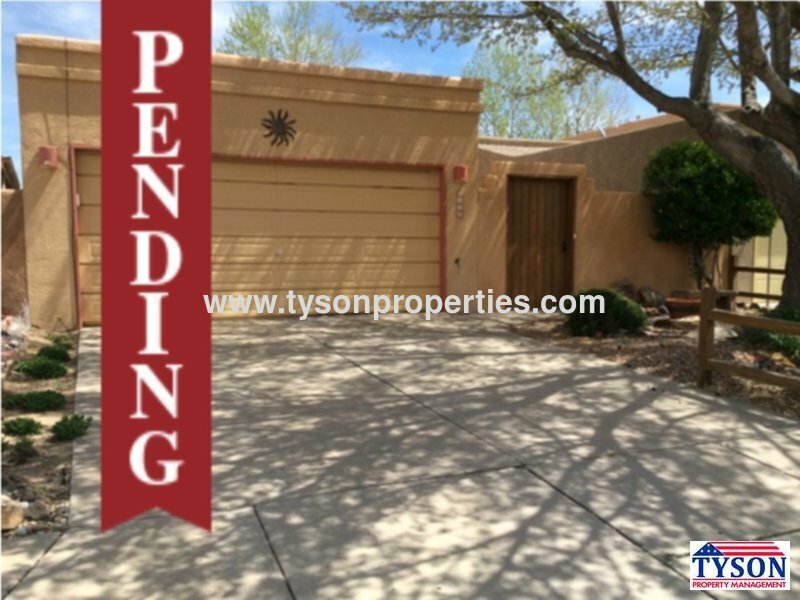 Located in Northwest Albuquerque in the Taylor Ranch neighborhood off Montano and San Ildefonso this home is minutes away from Coors Blvd. Once inside the home there is a large living area with a vaulted ceiling and a fireplace. From the living room you enter into the kitchen area that features all major appliances including a refrigerator, a gas stove, a built in microwave, and a built in dishwasher. Hard wood floors are features in the living room, kitchen, and dining room areas. From the front of the house further in this home offers two guest bedrooms, a full guest bathroom, and a master bedroom with a full master bathroom. This Master Bedroom includes a veiling fan and a walk in closet. There is a two car garage in this home that has some cabinetry and shelving. The exterior of the home features a garden style landscaped backyard with trees, a walkway, and a bench as well as a covered patio.